Running, Essentially . . .
It’s all about the sights on the National Mall in Washington D.C. While visiting Austin, Texas in January I happened upon a Forbes Magazine article listing the top ten cities for running in the U.S. I was surprised to see that I had run in 9 of the cities on the list. As the ten cities were not ranked, I’ve listed them in alphabetical order. *Boulder, Colorado is the only city I have not run in (or visited). However, having run in Santa Fe which is 7,199 feet above sea level, when I had a slight cold, which exploded into a very painful chest cold after a lung-searing run at that altitude I have little desire to run in Boulder which has a slightly lower altitude. I’m taking the liberty of substituting Sacramento, California for Boulder on my re-ordered ranked list below. 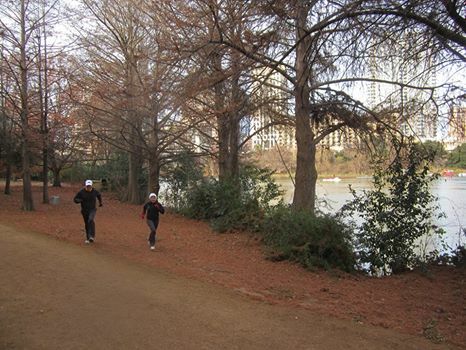 Running through the center of Austin, Texas on a Ladybird Lake trail. It was tough to decide between Austin and Portland but Austin won out because of its dirt trails with overhanging trees which line Ladybird Lake. Portland’s prized bike-running path, the Springwater Corridor is mostly paved and does not have much shade. 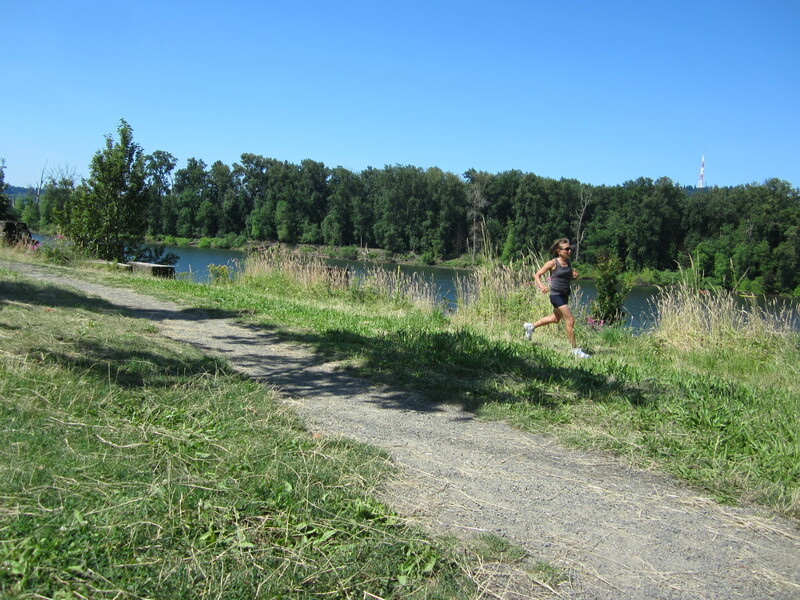 One feature of running in Portland is the ease of bike rental on the river trail. This is a great way to have a non-running friend or spouse join you for your run. 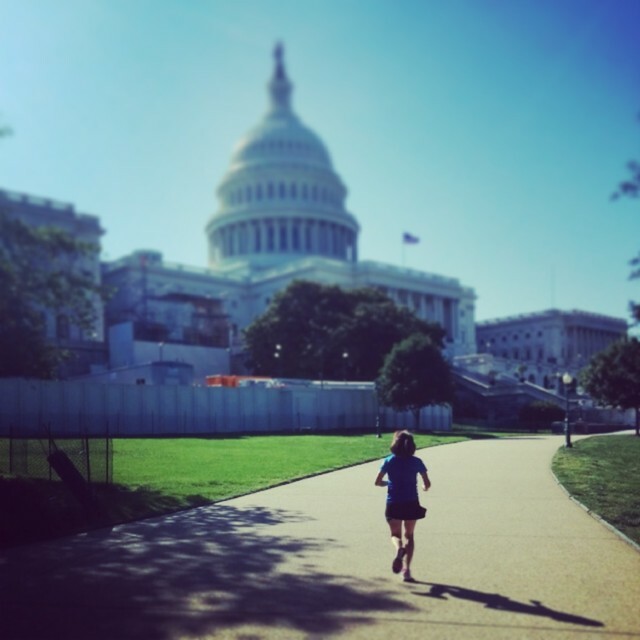 Running is the best way to see some of the sights like the Lincoln and Jefferson Memorial. Another bonus is the number of clean public restrooms around the public parks and monuments. Boston is well, Boston, but apart from the marathon, a run along the banks of the Charles river on the Cambridge side while rowers pass by makes for a storybook setting. Love the slightly downhill course of the California International Marathon in Sacramento. There is also a long-standing distance race in November which serves as a tune-up for the marathon. The Clarksburg County Run used to be 30K but is now a 20 miler with a 5K, 10K and half-marathon option. Proximity to San Francisco, a 2 hour drive, is another plus. Running along the waterfront route from Market street over the Fisherman’s Wharf is one way to avoid hills in San Francisco. Love the idea of their women’s only marathon but not on the hills of San Francisco. Runs along the lake are pleasant but summer races in Chicago can be stinking hot. The Chicago marathon course is my favourite. I ran it once when it took place on the third, rather than the traditional 1st weekend in October. New York is near the bottom of my list as I’m personally inclined towards the urban outdoor experience of west coast cities like Portland and Seattle. But I do love the shorter races in Central park organized by the New York City Road Runners. I’ve been to Minneapolis twice. Once for a convention and the last time a quick overnight stay to visit the World’s Biggest Mall a.k.a. “hell on earth” according to my husband. Nothing memorable to report other than feeling safer than I did in Atlanta and I’m sure summer runs in Minnesota are cooler than Atlanta as well. I ran in Atlanta nearly 25 years ago while attending a convention. I think I was the only runner in the group of 2000 attendees. It was one of the muggiest runs of my life. My friends worried for my safety and I have to confess, I did not feel particularly safe there even though I stuck to the tourist zones. I was going to say this post was part one of a series, with subsequent posts providing more detail on running in these cities. However given my poor record of following up with promised part twos, I’ll leave it at this and invite your comments or recommendations. Categories: Boston Marathon, California International Marathon, Chicago Marathon, Exercise, Marathon, New York City Marathon, Running | Tags: Boston Marathon, California International Marathon, Exercise, Fitness, Lynn Deutscher Kobayashi, Lynn Kobayashi, New York City Marathon, Running, Training, Travel | Permalink. Exactly three years ago . . . I neglected to celebrate my third blog-o-versary earlier this month. 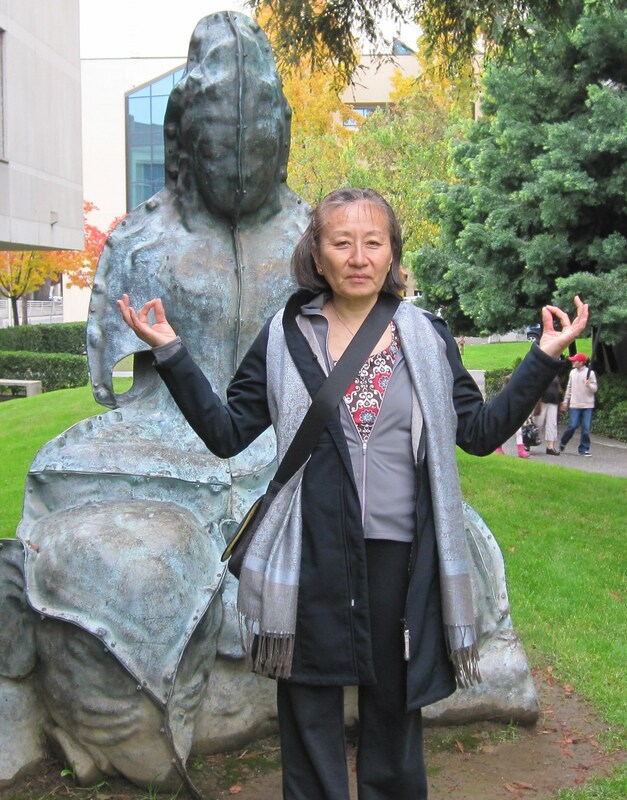 It all started when I took a blogging course at OCAD with a great instructor Greg Smith. I went on to complete the OCAD Digital Media Certificate which has helped me on-the-job with website content management and communications. Hundreds of blog posts later, here I am, albeit struggling to get in a minimum of two posts a month. I feel that if I don’t keep that up, I’ll stop entirely. Which begs the question, why not stop . . . hmmm, the topic of my next post? Actually my problem is not lack of content but too many ideas and too much to say, which makes it hard to get started. Anyhow, the following is post from August 31, 2010 and it was interesting (to me at least) to see that I was then contemplating joining the UTTC Masters. It took me awhile to finally sign up but ta da, I’ve been a card-carrying member for over 1 1/2 years and loving it. For someone who is used to running high-mileage in marathon training. Running 50 miles a week hardly takes a thought. I run about an hour a day with a 2 hour plus run on the weekend – this is the default. However, with 15 weeks until my pre-Boston, marathon outing in Sacramento, the moment has come to either train seriously, forget about it or suffer in the final miles of the race. So, I’m formulating my plan and the mileage build will go like this 57 miles this week, 61 miles next week and 57 miles the following week (including a rare day off for travel). I like to do 2-3 solid weeks of building miles and then take an easier week. Fortunately, this easy week will coincide with a trip to Germany. My long run will increase from 12-15 miles to 17, 18 and up to 22 miles. In addition to the increased mileage I have to start speedwork. I’ve committed to hitting the track with a group. For the past two years I’ve been taking evening courses, this year I will go to track school. I’m excited about running on the new Varsity stadium track. The very scene of my first marathon finish. The coach, Paul Osland is a former Olympian who is now whipping a group of motivated masters into tip top shape. I’m apprehensive about the return to the intensity of speed work. My fast running for the past two years has gone something like this . . . run fast when I feel like it for 30 – 120 seconds. Take as much rest as I need. From what I can tell, the plan for Thursday is to run 150 meters at a very fast pace, 18 times and the do it again for a total of 36 fast repeats. Then we are to bound up stairs, 2 steps at a time, 5 times and then repeat. I’ve never done circuit training, of which we are to do 4 laps. Hmm . . . This could be painful. Given that most of these runners will be peaking in the early fall, and my timing of a December marathon is unusual, I hope to get some sort of just-starting-out dispensation. I’m reminded of how once, when in top form I remarked to another runner as we readied ourselves for a grueling session à la Zeba Crook that his workouts were effective because they helped us to increase our pain threshold. The runner turned to me and said, “but that is not what I signed up for”. No doubt . . . I’ll soon have a tale to tell. 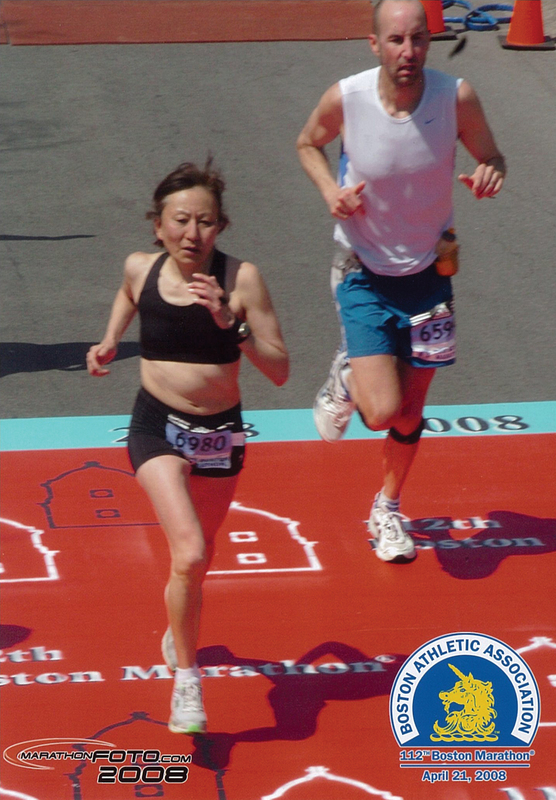 Categories: Blogging, Marathon, Masters Running | Tags: Blogging, California International Marathon, Masters Running, Running | Permalink. Must write something, anything . . . even if it is the writer’s equivalent of running an easy twenty minutes. Over the two years plus that I have been blogging, I’ve been fairly regular, even blogging every day for a few months, back in early 2011. It is an exercise I enjoy and want to maintain but somehow, I didn’t get there in November with zero posts and am in danger of doing the same for December. I’m never at a loss for ideas and sometimes it is when I have much to say, that it seems harder to say it. For example I wanted to write something along the lines of “Five Things I Learned from My Marathon Disappointment” but the breadth of the topic stopped me in my tracks. I’m going to have to remember to keep it simple and just do it. Another reason – In early fall my job found me managing our Facebook site, creating email campaigns on MailChimp and assuming the role of webmaster for our new website. I also installed Google Analytics on our website and found myself somewhat mesmerized by the interactions between social media, e-blasts and website visits. I think this left little energy to attend to my personal on-line presence. But I do want to continue and in spite of the stack of unwritten Christmas cards beside me and many tasks that need doing in the next four days, I am committed to regaining some momentum. I enjoy blogging and while my posts are not deep in analysis, I feel the simple act of recording some aspects of my life is good for my mental fitness and ability to write fast. The highlight of running in November was taking part in the Ontario Masters Cross-Country championships in Kingston. It was exactly four weeks after my marathon. To recover from the marathon and prepare for the race in tandem, I ran less than I would normally, post-marathon. Instead, I ran a few quality workouts with minimal content including; tempo workouts of 20 minutes broken up into sections and once a full twenty minutes and intervals of 45 to 90 seconds in duration. On race day I felt “sharp-enough” and was happy with my relative age-graded score which was one of the five scores that “counted” for our team placing. I also placed first in my age-category and our team of Women 50-59 placed first. A nice touch was that Dylan Wykes, Canadian Olympian in the marathon gave out the medals. The drive to and from Kingston with fellow teammates was much enjoyed. I’m astonished to see that I posted 30 times in November 2010. But for now, I’ll take it one-blog-at-a-time and set my blogging goal for 2013 at two posts a month. Ciao and thank you for reading! Categories: Blogging, California International Marathon, Exercise, Fitness, Marathon, Masters Running, Running | Tags: Blogging, California International Marathon, Fitness, Marathon, Masters Running, Running, Training | Permalink. Until a few years ago I could run up to 170K or 105 miles at the peak of marathon training no problem. As I approach my 57th birthday the realities of training in the second half of my sixth decade (other than slower times) have begun to appear. Pounding the pavement takes more out of me and I just can’t train like I used to. What to do?! While I have been a lifelong commuter cyclist, I’m not too keen on training rides that take three times as long to get the same cardio effect as a run. Training takes enough time as it is. The * asterisk is to note that having devised a new and complicated route to merge my run with a friend’s 10 mile run. I got home, measured my route and saw that I was short 1.5 miles. You’ll know by this comment that I’m an old-school runner who does not own a GPS watch. Thankfully, I had not cooled down much so I immediately headed out the door and did the missing mileage. I gave myself a little pat on the back for that. Had my husband greeted me with a latte, as he often does post-long run, I might not have been able to gather myself up to get the job done. Looking ahead, the peak training weeks will be from August 27th to September 24th. From there I will begin a three-week taper. I am curious to see how much mileage I will be able to manage at the summit of my training – the 100 mile week redefined. As for my goal time, I’m will race a 10K next Sunday, on slightly rested legs, which will help me gauge my fitness level. Naturally, I’m hoping to improve on my 2nd slowest time ever of 3:50 run at NYC last year, the slowest being the 4:10 I ran in my first marathon in 1981. I’m hoping I can improve on my 3:42 of two years ago and my most optimistic hope is to run close to 3:30. According to the McMillan running calculator the 21:04 5K I ran in the spring extrapolates to a 3:25 marathon but we all know that for the vast majority of us, it is really difficult to match our shorter distance race performances at the marathon because of the mileage base required. Surviving marathon training, is a lot of what running a marathon is about. One bright spot on the topic of aging is that I was able to match past performance levels (age-graded score) at 5K on fewer training miles, with the help of intense speedwork and an indoor track season build-up to the 5K. But – as a 56 year old marathon runner, accustomed to running the longer path, I’m hoping that a shorter path might still do the trick. To get to the finish line, you’ll have to try lots of different paths. Categories: Boston Marathon, California International Marathon, Chicago Marathon, Exercise, Fitness, Marathon, Masters Running, New York City Marathon, Running, Training | Tags: California International Marathon, Chicago Marathon, Detroit Marathon, Exercise, Fitness, Marathon, Masters Running, New York City Marathon, Running, Training | Permalink. My blog made its debut a year ago today. Born as a final project for a course on blogging at OCAD. To celebrate, I briefly looked over the 287 posts I made over my first year and chose my favourites. My average rate of posting per week was just over 5 posts. Over the first few months of the year, I had aspirations to post as much as I ran and joined the WordPress postaday club. However my commitment to organize the People4Kids fundraising gala last May 3rd took priority and my rate of posting dwindled. Hours after finishing the CIM - Feeling good! Since the blogging course I’ve taken digital photography, InDesign and Adobe Illustrator courses and that too has consumed much time. So I’ve reset my sights on posting 2-four times a week. So here are my favourites, in no particular order. 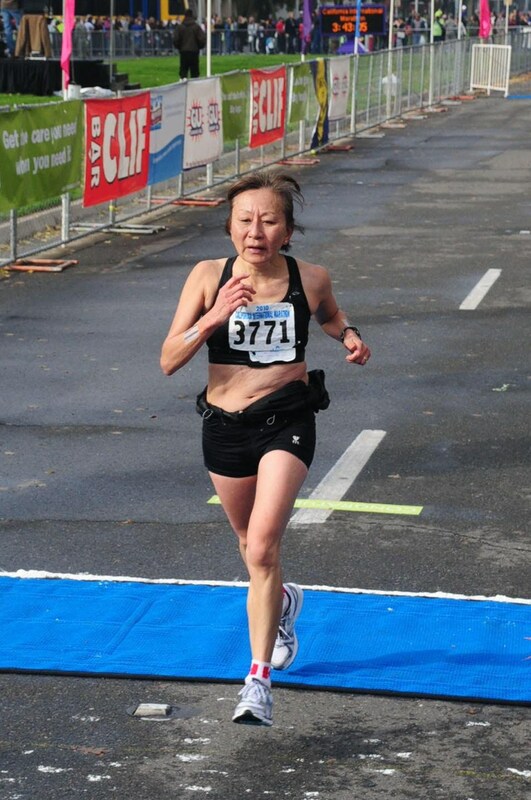 Running the final mile of the California International Marathon (CIM) in Sacramento last December. About an 8K race run prior to the CIM. My longest run in preparation for the marathon run on one of my favourite Toronto routes. A day of baking for a good cause shared with a friend. Our highly enjoyable adventures in Portland, Oregon. The post that got me Freshly Pressed with 2061 hits in one day. My feelings on getting Freshly Pressed. A visit to a special place in Alaska. More about this special place. A bit about my husband’s running accomplishments. Thank you to all my subscribers and those who tell me that they enjoy reading my blog. Your readership makes blogging fun and keeps me motivated. 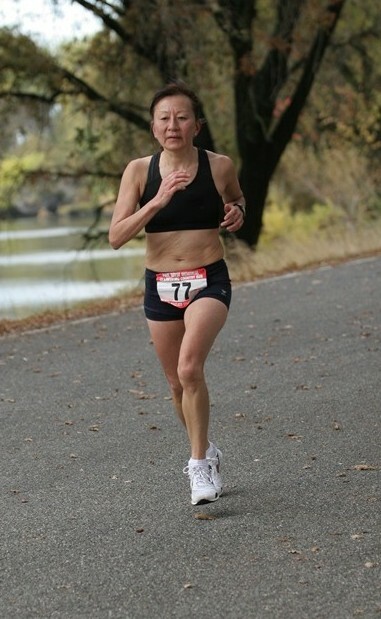 Categories: Baking, Blogging, California International Marathon, Marathon, Masters Running, Running, Travel | Tags: Alaska, Baking, Blogging, California International Marathon, Masters Running, New York City Marathon, Portland, postaday2011, Running, Travel | Permalink. When I registered for the NYC marathon, I was not entirely committed. I was able to get automatic entry based on my time from the California International Marathon (CIM) run last December and entered in advance of firm commitment as major marathons have been filling up in record time the past year. If you do not have a qualifying time you are entered in a lottery however all potential entrants must pay $10 to acquire a NY marathon runner ID and once entry is confirmed your credit card is charged for the entry fee. I seem to recall a few years back having paid about $100 to enter so when my credit card bill arrived with a $273 price tag plus $10 charge, I was surprised. Up to then I had viewed my entry as something of an expensive reservation. Thus it is that I am now commit to serious marathon training. Sunday is the day when I tally up my miles for the week and this week the total stands at 45 miles. I consider this my rock bottom minimum mileage at any given time but I have recently fallen off that wagon. In spite of heat and humidity for my 14 miler yesterday, I was able to complete the distance fairly comfortably, aided by the pace-moderating factor of a companion who is on the comeback trail from a calf injury. I ran about 150 miles in June and my target for July will be to get over 200 miles, including increased quality and a long run of at least 17 miles. I’m also going to get back to regular weight training to start on Tuesday. Sunday afternoon was spent at the Art Gallery of Ontario enjoying a bit of New York that has recently arrived in Toronto, Abstract Expressionism New York, Masterpieces from the Museum of Modern Art. This is the first time that a show of these modern masters has left New York. As an art student in the 70’s I and my artistic peers were naturally enthralled by this group which included; Jackson Pollock, Barnet Newman, Wilhelm De Kooning and many others. 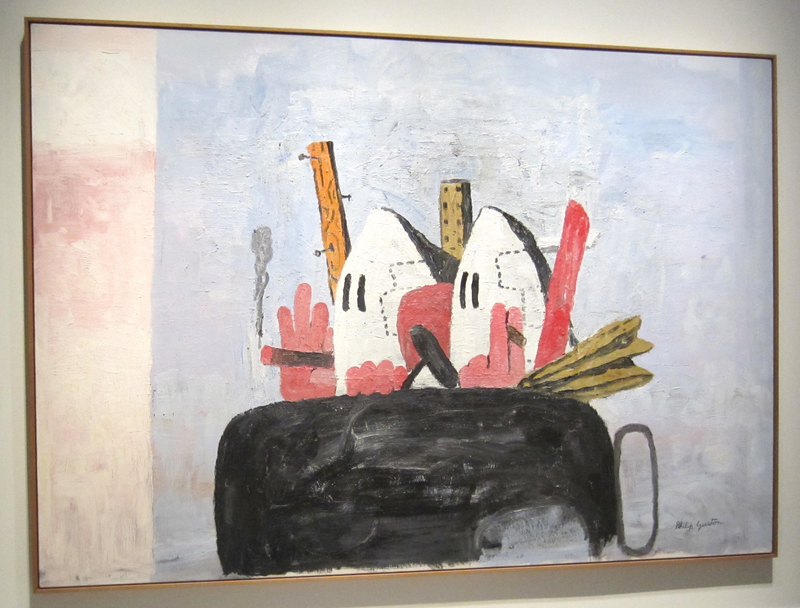 The work that I found most interesting was Philip Guston’s, Edge of Town from 1969 which expressed his frustration with the lack of explicit social commentary in art during a time of great upheaval with civil rights at the forefront. The work above with its cartoon like depiction of the Ku Klux Klan is an indicative work, informing the article Philip Guston: abstract expressionism’s provocative pioneer and ultimate critic, a biography from Museum Today. The November marathon trip to NYC will be a short one as it will be a busy period at work. With careful planning, I hope I can fit in a visit to an art gallery or two. With eighteen weeks to marathon day the countdown begins NOW! Categories: Art, California International Marathon, Culture, Marathon, Masters Running, New York City Marathon, Running | Tags: Art, Art Gallery of Ontario, California International Marathon, Marathon, Masters Running, New York City Marathon, postaday2011, Running | Permalink. “Do you have any way-back, play-backs you listen to while running in the privacy of your own ears?” So asks, Bearrunner an east coast running blogger. The most important playlist on my IPod is called Tempo which is the music I listen to while doing my tempo and interval running. Immigrant Song is my all-time fave for fast running and it is a 41 year old, way-back, play-back from 1970. I would never choose to listen to this as recreational background music but while running it somehow expresses the energy of adrenalin and heart-pumping, fast running and makes a workout seem easier.Two favourite upbeat, feel-good songs that help me get out the door are As by Stevie Wonder and Moonlight Kiss by Raul Malo. The evening after finishing the California International Marathon last December my husband and I visited the new San Francisco location of the famous Yoshi’s Jazz Club in Oakland. Raul Malo was performing that night, a show which I found moderately entertaining. However, a couple of days later when I downloaded some his music, I realized the degree to which my enjoyment had been moderated by my post-marathon fatigue. Post-Yoshi’s, I found myself bouncing off the walls to the effervescent and sunny beat of Raul Malo and his band. Raul Malo has been to Toronto as I discovered. He has performed at Hugh’s Room, however without his whole ensemble. I hope to see Raul Malo again but not the evening after a marathon. Categories: California International Marathon, Marathon, Music, Running, Travel | Tags: California International Marathon, Marathon, Music, postaday2011, Running | Permalink.